This article is not a ‘you should do it this way’ manual. 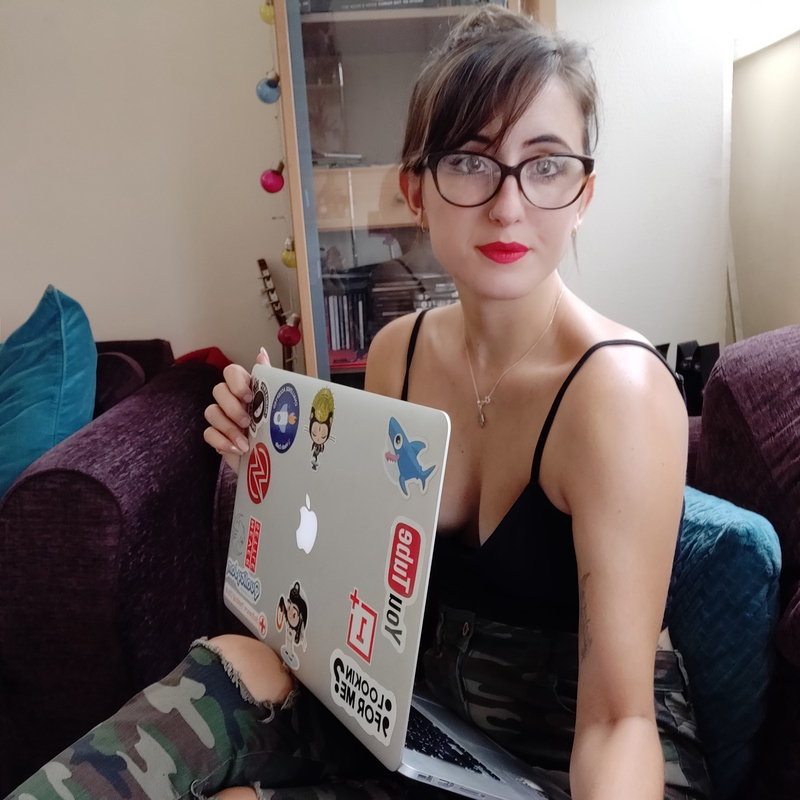 I am teaching myself how to code and I managed to build an API to return data to a webpage using the following method – please feel free to share/give advice but please remember I am still learning myself so this might not be 100% best practice. Petr Gazarov wrote a great article on FreeCodeCamp’s blog here. APIs allow users to complete actions without having to leave your website. The API is a set of dedicated URLs that return pure data responses. This can then be interpreted and used on a front end/website for example. Why would companies want to use APIs? An API allows for separation between the frontend and backend of an application ( or service to service connections). You can build multiple frontends that can handle the data stored in a separate service, i.e a desktop, phone app & web app could use an API to access the same data/ backend. If you contain all of your website features in one project (known as monolithic) it is harder to manage – changing something in the frontend could break some backend function. Separating the backend out means that you can work on it in isolation without impacting your frontend and vice versa. The dotted lines represent the API – they are calls between different services for data. In this post, we will build a project with a frontend and one backend API service. I.e. Website > Friends List. You will need to install ‘axios’, which is an ‘HTTP client for the browser and node.js’ – it is basically what is going to help us make requests for information from our api. It allows us to make ‘GET/POST/DELETE’ requests to a url, interacting with our service. get API () is the function name that we call from our button. .then as implied is what we want to do next – it only runs if the .get() was successful. We want to take the response from our .get, and assign something in it to our data object ‘info’ – this is accessed by using ‘this.info’. We can placeholder this ‘thing’ for now. If the .get() fails or the API is not running, we do not run .then(), we run .catch() – and fill in our v-else so the the user understands when they click the button, why information is not returning, we use the .catch for this. This is your frontend Vue app pretty much ready – we know we have some placeholder text to come back to once the server is running on our API, so for now your button is not going to work and your going to see horrible console messages, lets get on and fix that. If you have ‘npm run dev‘ running in your terminal for this directory, you will be able to see your button by visiting localhost:3000 in your browser – the button for now should only return the error message ‘API is not running’ and there will be a lot of console errors due to the unfinished placeholder text. I wrote my backend service in go, so that is what I’ll show you in this post. You will then need to set your GOPATH, follow instructions here. We then need to start coding our API, remember this is going to be a very, very simple service – we’re just going to create a JSON object with some text to reply with! ‘package main’ is required by go to run your program, it tells the go compiler to treat this file as an executable file. imports are the different built in (or third-party) packages we want to use in our go service – we will be using fmt (which formats for example console logs/printed messages) and net/http which is how we will run a server in our go service. All endpoint you want to use in this API must be reigstered via the http.HandleFunc, in our example we have only one, ‘/givedata’ which we register to call giveData(). We start running a server via the http.ListenAndServe on port :8080 which blocks indefinitely, unless there is a critical error i.e. the port is already in use. We have error handling in this function which displays that error if encountered- helpful for debugging! If the HTTP server is hit at the url ending ‘/givedata’. It will run the function registered above – aptly named, giveData(). I found out the long, hard way, that running 2 separate services locally runs into issues, as you cannot by default call from one local machine to another. So the first line of our ‘giveData’ function, is setting a header that allows access from the the vue app request to our go service data. You can read more about this kind of issue here. Our function also contains our ‘lovelyData’ which is a JSON object containing 1 key value pair. You can make this anything you like, I opted for a crap joke. A better practice would be to store information in an object, then use JSON marshal to convert the object data to a string -> read more. And your go http server should be running – go to your browser and type localhost:8080/givedata and in your browser you should see your JSON object – wooo you’re API is working! Now we need to combine the 2 services so that we can make calls from our Vue app to ourService to return some data! So when we click our button, we will trigger the function getAPI(), which uses axios to make a get request to localhost:8080 (this is where we told our go service to run- make sure you still have a terminal running the ./ourService command, otherwise your go http server will stop!). We want to call the endpoint localhost:8080/giveData because we know that triggers the function giveData in our go service. We then update the .then, to say look at the value under response.data.hello (response.data would return the whole lovelyData object, we only want whats inside one key value pair) and we want to save this to our this.info variable in our Vue app so that it can be used on the page. So in your terminal you should have 2 tabs open, your go/src/ourService – which should be running the command ./ourService to run the go http server. And your other tab should be in your vue project and you need to run npm run dev (if you’re not already) to run the server here. Go to localhost:3000 to see the app in the browser. Your button should display and when clicked on, you should see your data populate in an h2 format below the button! To test the function in your Vue app works correctly, kill the service in your go project (ctrl/cmd + c) and click the button again, you should now see your error message ‘API is not running’ instead! I hope this has helped with some basics of what an API is and how it could be used – it is only a very basic level but hopefully now you can see the potential! I am very welcome to polite, constructive feedback. As mentioned, I am learning myself and this may not be the best way to get an API working, or best practices for writing in go or vuejs but I gave it a go using lots of different resources and got the outcome I was after using this method – but I am very keen to improve, so please feel free to leave a comment!